Today I have the pleasure of introducing Rosary McQuestion, author of Once Upon Another Time. Her story is one of loss and learning to love again, a common plight many people have endured. It is a beautiful story and one that touches your heart from the beginning. Rosary is not only lovely but also a generous person. I do hope you enjoy our conversation. Luciana: How and when did you get interested in writing Romance stories? Rosary: Ever since I can remember, I loved reading romance, but I also loved mystery and paranormal horror novels. I had never thought about writing romance because I thought in order to write that type of material, you have to be, well—romantic! Unfortunately, I’m not. My thoughts and personality are more in touch with the supernatural and macabre, but I do love heart-wrenching romance. Then I read a novel by Lolly Winston. It was the funniest and the saddest book I’d ever read. The genre wasn’t romance but the protagonist did end up falling in love. That story changed the way I thought about the romance genre. 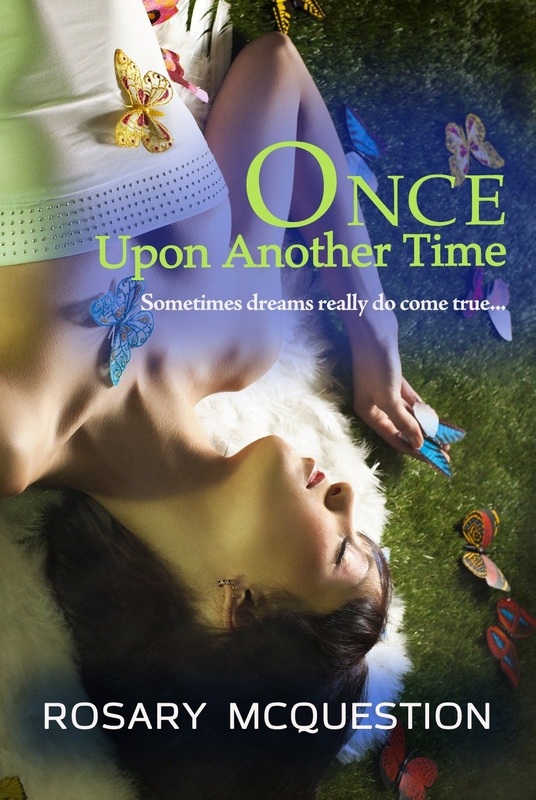 Cross-genre novels are becoming more common nowadays, and Once Upon Another Time combines the genres I love most, paranormal, romance and mystery. Luciana: Your novel Once Upon Another Time has a Supernatural theme. What inspired you to add this feature into the storyline? How much research did you do on ghosts? Rosary: I have long had a special interest and curiosity for the supernatural. The inspiration to feature this in my novel was that, as a child, I lived in a house that was truly haunted, and drew my ideas from that experience. Therefore, I didn’t have to do any research. Luciana: In one of our many tweets, you told me about an unusual encounter/s you had when young. Can you tell us a little bit about your paranormal experience? Rosary: I’d love to share some of my paranormal experiences. As I mentioned, I lived in a house that was haunted, and it was while growing up in Wisconsin. The experience wasn’t as bad as the Amityville horrors, but still quite frightening. The house had cold spots in rooms and hallways, doors closed unexpectedly, lights turned off and on at will, as well as other strange happenings. I felt as if something was always watching me. My sister and I always felt very frightened, especially at night. The house was an old 1930s home converted into a two-family dwelling. My parents owned the house and rented out the upstairs apartment. Tenants came and went quickly. During the times the apartment was unoccupied, we’d hear footsteps walking back and forth overhead. At first my father thought someone had broken into the apartment. With baseball bat in hand, he’d run outside and up the back steps to catch whoever it was. However, he’d always find the apartment door locked and no one inside. It got to be one of those strange things we grew accustom to. However, when the trapdoor to the basement unlatched itself and struck my mother on the head, and one very bizarre and frightening incident in which my sister and I actually saw what was living in the house, a hideous looking spirit, we felt very threatened. My parents had the house blessed by the Catholic priest from our parish, but things didn’t quieten down and we eventually moved from the house. In the ‘90s I did some online research to see if I could find out if anything like a murder, might had taken place in the house to cause it to be haunted, but didn’t find anything. Then to my astonishment, I’d found an article on an Irish immigrant who killed his wife back in 1851, and was hanged for murdering her. The article pinpointed the area of land used for hanging criminals, the Irishman included. My jaw dropped when I realized the house we had lived in, was built on the very same land where people were once hung. The first manuscript I’d ever written was a story based on that house. The writing was crude, and the story ridiculously long at almost 900 pages, but I will someday resurrect it, (no pun intended) and rework the story. Luciana: One of your characters in the story is a psychic. Why did you include such a character? What are your thoughts on people who have these gifts? Rosary: Anything supernatural that I write about is always based on reality. I do hope that people don’t think of me as odd after reading this interview, but I had that gift—or like I call it, a curse. I used to have premonitions that came to me in dreams, mainly about people dying, horrific things. My parents quickly figured out what was happening, and told me never to tell anyone about it. They told me I was special, but that other people would not see me that way. I was also tested for the peculiar ability. That was a trip! Anyway, I knew I wanted to incorporate this into the book, but in a more humorous way. Luciana: Your main character Aubrey is easy to relate to; her guilt and learning to love again is a common story. What else can you tell us about Aubrey that will give readers further insight into her personality? Is she modelled on someone you know? Rosary: Aubrey’s successful work career and trying to balance her time with her son is definitely based on my own experience, back when I was a single parent. I like to think that her most noble characteristics—her desire to find the truth within herself, and her ability to handle situations no matter how difficult, is a reflection of so many women who are single mothers nowadays. Hopefully the reader will see in Aubrey a woman with an almost consuming determination to better herself and be the best mother she can, while resolving her own issues and trying to find true love. I see these qualities in women I am lucky enough to call my friends. They’re some of the finest people I’ve ever known, and I intended Aubrey to embody their fortitude. In some ways, Aubrey’s clearly better than I am. She’s taller and much braver. As for some of Aubrey’s more neurotic traits, I plead the Fifth. Luciana: Tell us about the cover of your book and how it came about. Rosary: I owe the design of that beautiful cover to one of my best friends. 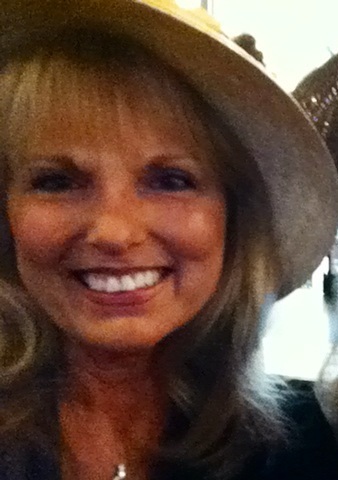 She lives in North Carolina, has a degree in fine arts, and has been a designer working in advertising for many years. She came up with the cover design and I just loved it! The fantasy-like picture along with the butterflies are symbolic of the story. In some cultures, butterflies signify a miracle of transformation and resurrection, a change in one’s life. And Aubrey was going to have a major breakthrough in her life that would change everything. But there’s a dual meaning. In early Christianity, the butterfly was a symbol of the soul. In Japan, a butterfly is seen as the personification of a person’s soul whether they are living, dying, or already dead. Aubrey’s grief and the feeling of guilt over Matt’s death was like a birthmark on her soul. One Japanese superstition says that if a butterfly enters your guestroom and perches behind the bamboo screen, the person whom you most love is coming to see you. Hence, the fact that Matt, her deceased husband and the love of her life, returns in spirit form to help Aubrey move on with her life. Luciana: What would you say are the main advantages and disadvantages of self-publishing? What advice would you give to a new writer starting out? Rosary: That’s a loaded question! I see the advantages of self-publishing in that it is instant. There is no arduous task of having to find and contact agents only to wait for a month or so and then be rejected. In one instant, a New York agent I contacted really liked the premise of my book and had me sign a contract stating that she had first refusal rights. It took six months for her to decide that she was going to pass on it. That was a lot of time wasted. The major disadvantage that I think most Indie writers would agree with me on is that it is a huge responsibility to market one’s own book. Although I have a marketing background and do fairly well at getting the word out about my book, it’s so time consuming that I’m barely able to dedicate any time to writing my second book. If you’re an Indie author, you must be involved with social media, a main vehicle for getting noticed and developing relationships. Before I had a Twitter and Facebook account, it took me no time at all to write my first book. Now, however, I can’t seem to remain focused enough on my second book as I am dedicating tons of time on promoting my first book. It’s really a catch 22. The two most important pieces of advice I have for a new writer just starting out, is to first develop a time management schedule and try to build status in the areas of social media. Secondly and most importantly, hire a good editor before launching your book! Luciana: Are you working on any new works in progress that you can tell us about? Rosary: Yes, I am working on something new. I see more of a benefit in writing a series as opposed to writing singles, so I am now working on a murder/mystery trilogy. It’s a big departure from writing romance, but there are many genres that I find intriguing, and would not even rule out the possibility of writing dystopia, one day.